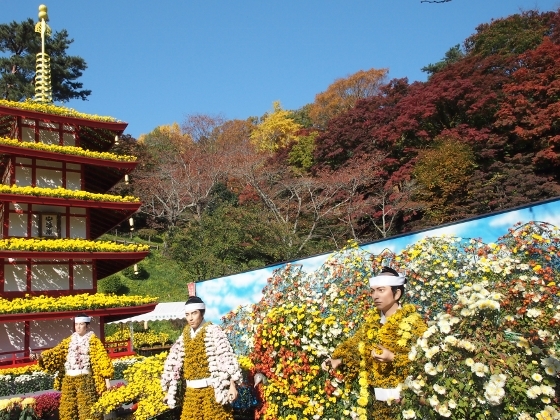 Photo above was a gorgeous scene at Nihonmatsu chrysanthemum figure festival as of today. 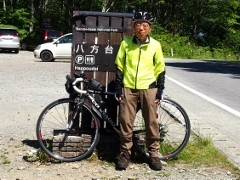 Another scene is shown above. 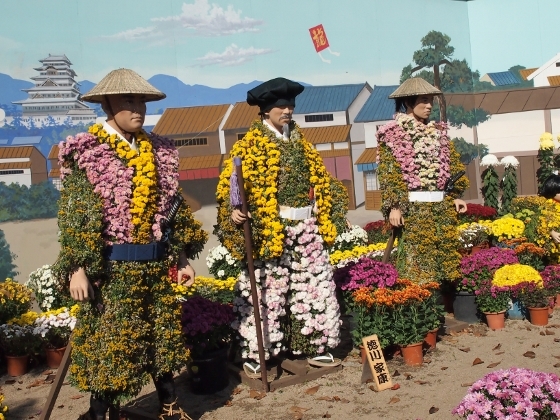 This year’s theme was Edo Period which was governed by Tokugawa Shogunate over the period of nearly 300 years. The central figure in the scene above was Tokugawa Ieyasu who established Tokugawa Shogunate in1603. 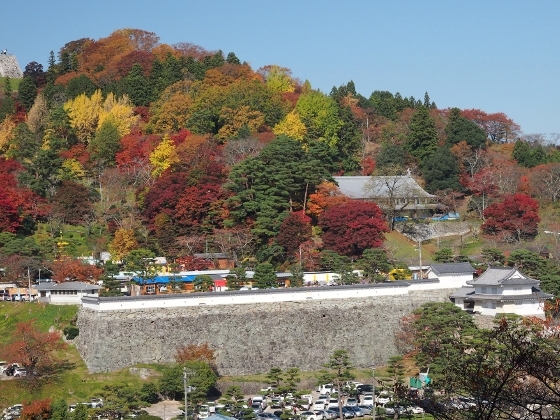 The festival is being held at Kasumigajo Castle Park venue. 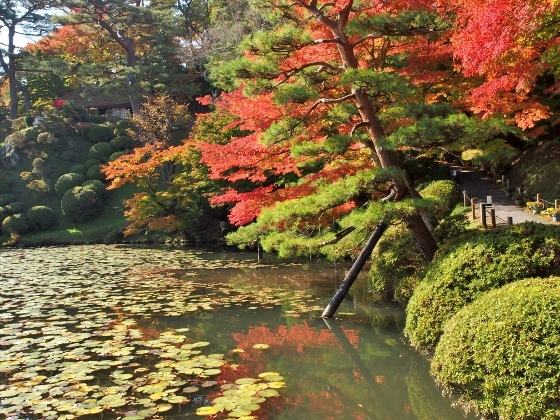 Japanese Garden in the venue with autumn maple leaves was amazingly beautiful as shown above. 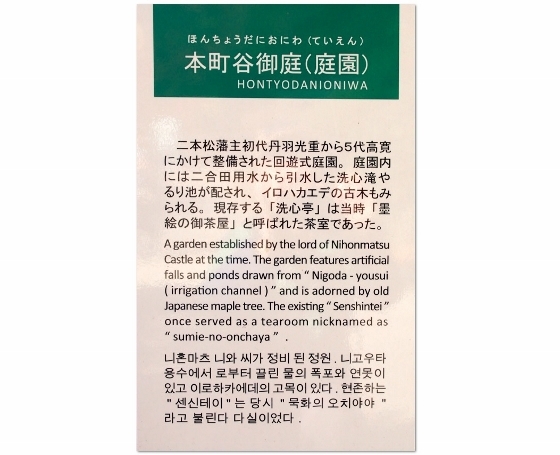 History of the garden was explained as shown above in three languages. 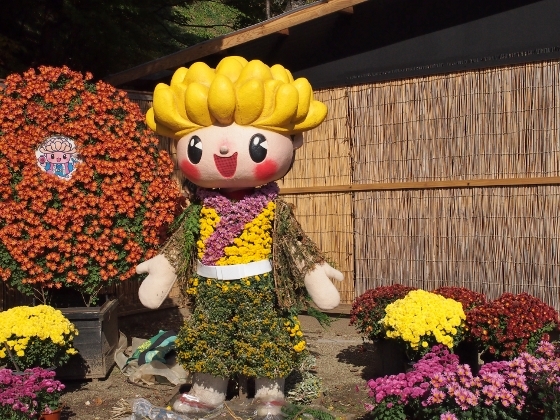 Kikumatsu-kun, shown above, was a chrysanthemum festival character. Finally, the whole Kasumigajo venue was covered with autumun colors as shown above. 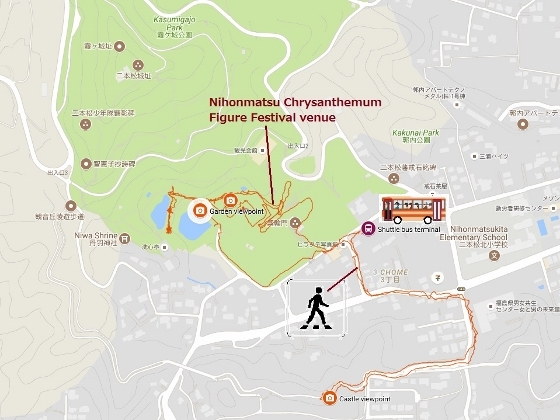 The venue is located 20-minute uphill walk from JR Nihonmatsu Station. There is also a shuttle bus service during the festival season between the station and the venue.